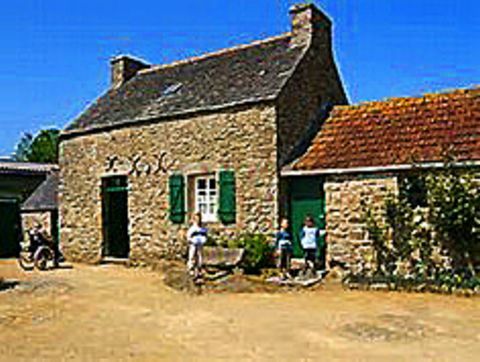 Tilly was a small town about fourteen miles south of the English Channel, lying between the bigger towns of Bayeux and Caen. There was a school of seventy students staffed by three nuns. In March, 1896, at about 4:00 p.m. in the afternoon, a young boy glanced out of one of the school’s windows opening onto a field to see a “beautiful lady” slowly descending from the sky. As the boy reported this, the other children and the teacher in the classroom rushed to the windows and all saw the same scene. In extreme wonderment, they watched the Lady move here and there – as if uncertain where to land. She finally positioned herself in the air near a big elm tree across the open field. The seventy students and three nuns evacuated the school and raced across the field to see the “beautiful lady” up close. All of them clearly saw the apparition. The beautiful lady was within an oval-like aura of brilliant greens, reds, pinks, blues, and yellows which emitted “rays.” Inside of these rays was the “beautiful Lady.” Her dress appeared to have been “opulent and Turkish” in style, but it scintillated and changed colors. The Lady stood out in some resplendent and astonishing fashion and was life-size or slightly larger. Not only had the school’s occupants all seen the descending apparition, but others in the area had also seen her arrival. Soon, there was “a great concourse of the devout and curious” filling up the field, all of whom witnessed the resplendent Lady, too. Most knelt in awe and began praying. They all assumed that this was the Blessed Virgin Mary. After a short time, the apparition vanished. Blessed Mary did return at frequent intervals in the days thereafter, which made the usual conduct of school activities nearly impossible with these heavenly distractions! The appearances of the “beautiful lady” continued sporadically for about four years. These supernatural appearances submerged Tilly-sur-Seulles beneath an enormous and continuous crowd of pilgrims, reporters, devout and curious, and platoons of both religious and skeptical investigators. Even on days when the Lady did not appear, crowds of 400 to 2,000 waited for her anyway. The field and nearby trees became a “forest of candles” and effigies of the Holy Mother. When Our Lady did appear, the crowds would swell into the thousands. Skeptics became convinced that these events “surpassed comprehension.” Investigators arriving to debunk the appearances would see her and then have to wrestle with their own disbelief. Witnessing her appearance with their own eyes undermined their initial convictions to doubt and disbelieve. A large number of witnesses also described seeing other features – including saints, angels, demons, devils, and other assorted imagery which would revolve around the central apparition of the Virgin Mary. 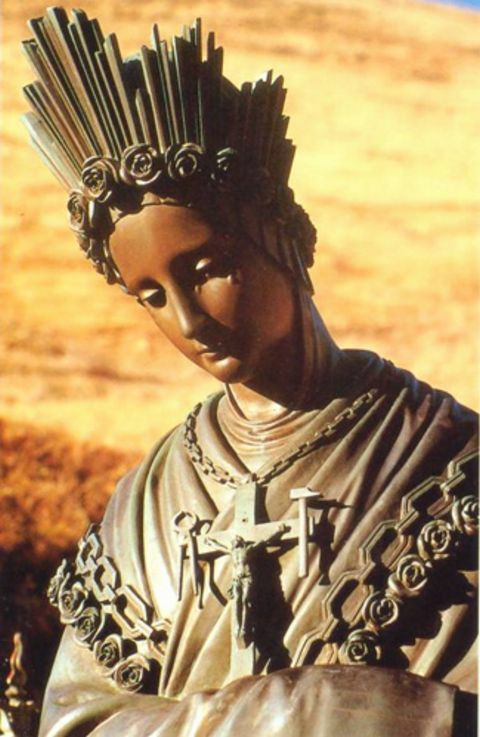 It was not realized at that time that these swirling figures corresponded to the apocalyptic visions reported by the two young visionaries at La Salette in 1846. The apparition and its accompanying phenomena usually occurred during broad daylight. But these horrible figures were soon thought of as “disquieting” and phantom-like. Some began gossiping about them as being diabolical. Many observed some of the witnesses going into “ecstasies, trances, fits, and convulsions.” Their eyes would fix on the apparition and could not be distracted. They could not be jolted by pin pricks, burning candles touching their fingers, or slaps to their faces. Our Lady, asking for prayer, spoke through many of those in ecstasies. Some reported unintelligible languages from various angels, demons, and phantoms. It is estimated that the original descent of the Blessed Virgin was witnessed by at least one hundred people. Up to one thousand had observed her prior to the addition of any other beings or imagery. Many miraculous cures were claimed. Yet, certain medical doctors and psychiatrists attempted to explain these supernatural events as either “communicable hysteria” or “mass insanity.” Neither term is viewed with any credibility in today’s field of psychiatry. 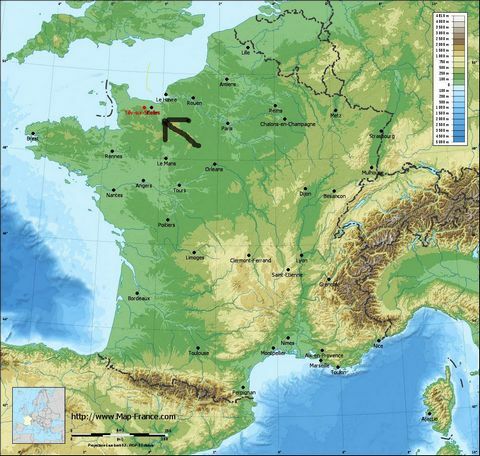 Although the Blessed Virgin did not directly warn of what was to come to this area of France in the future, it is commonly known that she frequently appears just before some upheaval, disaster, or deadly event. It is significant that just fourteen years later the broad area around Tilly-sur-Seulles was plunged into World War I. The area became an apocalyptic wasteland of fighting, trenches, mud, deadly gas weapons, insanity, slime, disease, and death – with thousands of rotting bodies and mass graves. This area around Tilly and north to the beaches of Normandy became another massive graveyard during World War II. Some of the most intense and bitter fighting occurred in this area. No known official investigation by the Catholic Church has ever been conducted. No explanations could ever account for the supernatural visits. Skeptics and investigators were impressed by the events that they witnessed; no answers could ever be found. December 8, 1947 was going to be a very special day for three little girls, Jacqueline Aubrey (12), her sister Jeanette (7), and their cousin, Nicole Robin (10). It was the feast of the Immaculate Conception and also the day they would meet the Virgin Mary. At school that day the nuns who taught their classes had encouraged all the children to pray for France due to its troubles with the Soviet Union at that time. The girls had eaten their lunch at home and were returning to school when Jacqueline suggested they stop on the way back to visit the chapel. Halfway through praying a decade of the Rosary in front of the altar, they looked up and were astonished to see a “beautiful lady” with her hands joined in prayer. 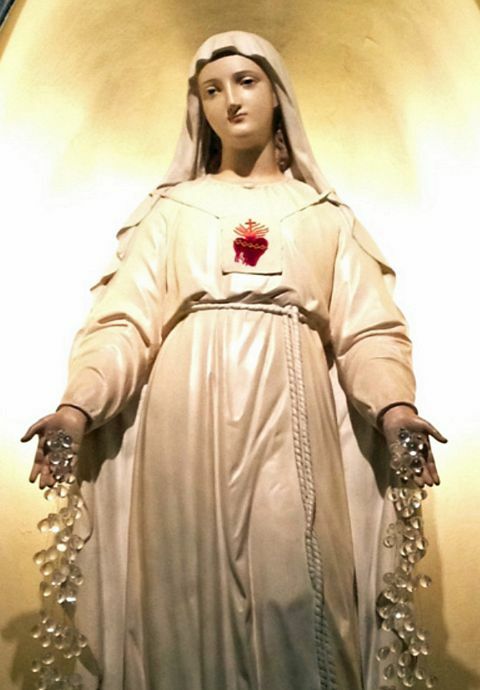 A white rosary hung from her right arm. To the left of the lady was an angel, holding a lily while his eyes were fixed in contemplation of the lady. The altar of the Virgin had a stained glass window featuring Our Lady of Lourdes to its left, and a statue of Our Lady of Victories directly above it. The apparition was situated several feet off the ground in the corner between the altar and the window. While the beautiful lady smiled at them, Jacqueline whispered that others should see this wonderful sight as well. She ran outside to notify others. She immediately grabbed two friends, Laura Croizon (8) and her sister, Sergine (13) and then returned to the church. Laura immediately saw the beautiful lady whereas her older sister could not – so they had to describe what they were seeing to her. They emphasized how beautiful the lady was. She was wearing a brilliantly white dress with gold trim at the neck and wrists. There was a blue sash around her waist and a veil covering her head. They noted that the veil’s white color to be different from the dress, and it was decorated along the edges with motifs known as “Touraine” in this region of France. With hands joined in prayer the beautiful lady radiated a strong golden light. She had blue eyes and long blonde hair – almost down to her knees! They estimated her to be 16 or 17 years old. Jacqueline asked the lady if she might be the Heavenly Mother. The Virgin quickly affirmed that she was indeed their Heavenly Mother. Then the girls asked her about the angel. He turned and announced that he was the angel Gabriel. Mary then turned back to the girls and asked for their hands to kiss, bending low to reach the hands of Jacqueline and Nicole. But the other two girls were much smaller and could not reach high enough. Jacqueline took them up, one after the other, and lifted them up at arms length, as though they were practically weightless. All four testified to the solidity and warmth of Mary’s hand and the touch of her lips. Before disappearing in a cloud of silvery dust, she asked them to return that evening at 5:00 and the next day at 1:00 p.m.
After the girls left the church, they noticed a shining white oval on their fingers, but before they got back to school these traces, which they did manage to show to a local woman, had faded. Jacqueline and Nicole spoke of what had happened, and after class they were separated and asked to write out accounts of their experiences, which were matching. Once the girls got home they found their parents not inclined to believe them, and only Jacqueline was able to return to the church for the rosary and Benediction of the Blessed Sacrament in honor of the feast of the Immaculate Conception. 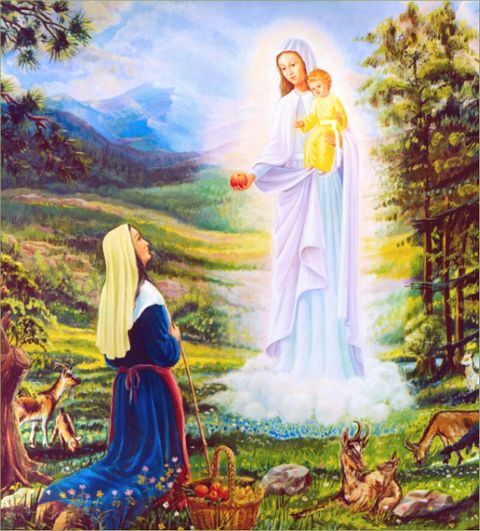 Mary appeared and beckoned to Jacqueline, but as she debated whether to go forward or not, looking back toward her teacher, Sr. Saint-Léon, for permission, assuming that she too could see the apparition. The bell rang for Benediction, and when she looked back, the apparition was gone. Once the Blessed Sacrament had been returned to the tabernacle, Mary reappeared. 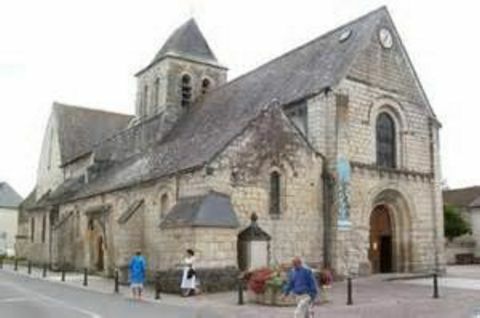 The church setting for the apparitions in L’Ile Bouchard. The girls were then joined by a certain Madame Trinson, who owned a shoe shop in the town. Blessed Mary, with a grave expression, showed the girls the golden cross of her rosary, and asked them to kiss it. Jacqueline and Nicole both stood up to do this, and Madame Trinson was amazed to see Jacqueline repeat her feat of the previous day, lifting up the two younger girls as though they were featherweight dolls so that they too could kiss the golden cross. The metal was cold to their lips and they were penetrated with a sense of Mary’s grief. The Virgin then made a beautiful, but extremely slow, sign of the cross. It took two minutes to complete, and the girls copied her movements, with Madame Trinson looking on in astonishment. Once this was over Mary said that she would tell them a secret that they could reveal in three days. Blessed Mary repeated her urgent request to pray for France. 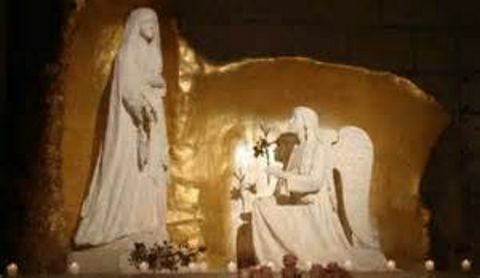 She asked for a grotto to be built with the images of her and Gabriel to be placed within it. Then she asked that the priest come at two o’clock along with the children and a crowd, so that they could all pray. 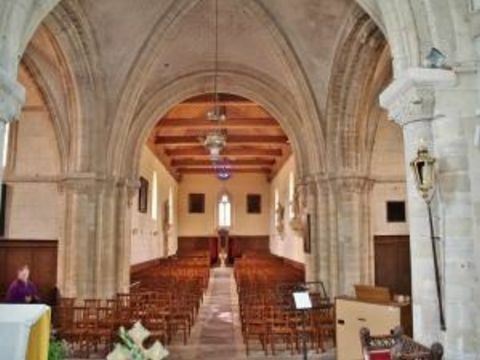 Fr Ségelle refused to come and so Jacqueline, Jeanette and Laura, with about twenty other children and thirty adults, assembled in the church. After they had said ten Hail Mary’s, the Virgin and the angel appeared as before out of the golden ball. She asked for hymns and prayers before telling them to return each day at 1:00 p.m., until everything was over. At 5:30 p.m. Fr Ségelle informed the archbishop of the day’s events. That same day, to the surprise of everyone, the Russian Communists decided to abandon their plans of a general strike. The four girls witness the archangel Gabriel with The Virgin Mary. “I have not come to France to perform miracles, but to tell you to pray for France.” But then to Jacqueline, she said, “Tomorrow you will see clearly and will no longer have need of glasses.” Then she disappeared into a golden ball of light. Again at 1:00 p.m. the next day, December 11, the church was full of people. The Virgin asked the girls if they had prayed for sinners — to which they replied that they had. Then Mary led them through ten Hail Mary’s, but she only spoke the words with which Gabriel had greeted her at the Annunciation. 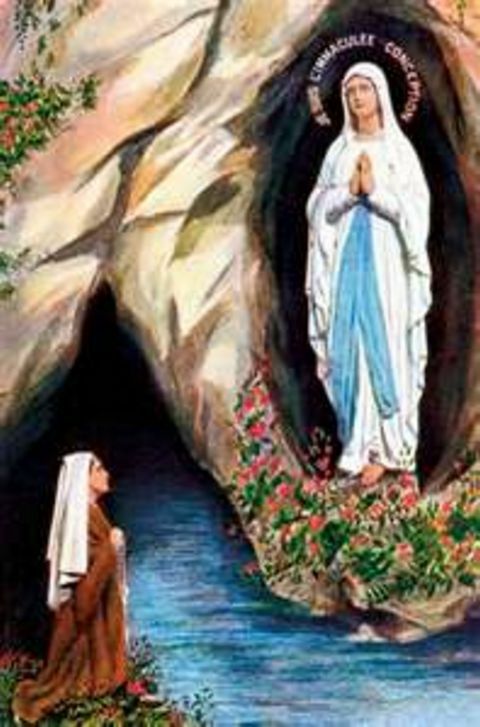 Jacqueline asked Mary to heal people who had petitioned the girls for cures, to which the Virgin replied that she promised that there would be “happiness in families.” Before disappearing she again asked about the grotto. After this, the girls were questioned separately in the sacristy. The angel Gabriel is in adoration of the Blessed Mother. Three hundred people crowded into the church of St. Giles on December 12. Our Lady appeared wearing a crown composed of twelve sparkling rays – each about a foot long. These were interspersed with smaller ones of various colors — two narrow blue ones in the center and then five wider ones to each side, colored red, yellow, green, pink and a brownish red. After listening to the singing of the Hail Mary, the Virgin led the children again in saying ten Hail Mary’s of the Rosary – and again pronouncing only the words of the angel Gabriel. 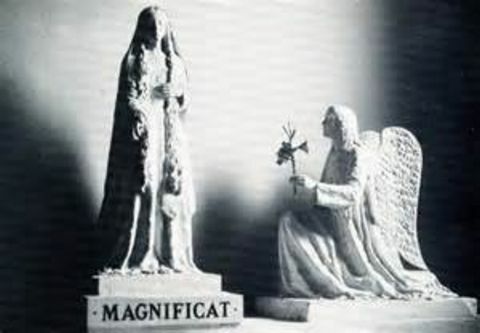 The word “Magnificat” was again visible in letters across her chest. Five hundred people attended on the next day, December 13. This time Mary appeared without her crown. She indicated that the public miracle that had been requested would come “later.” Jacqueline was then told that the last apparition would occur on the next day. The four girls watched this supernatural display in 1947. Auguste Arnaud, age 30, was a regular participant in Holy Mass on Sundays. He was a father of two, having been married for six years, and a respected member in his community. And he worked on Sundays. At that, Blessed Mary rose vertically into the air and gradually disappeared. Auguste left the vineyard immediately for home, where he excitedly told his father what he had seen. When they went together to tell the village priest, the priest met their remarks with coldness and skepticism. He found it hard to believe that the Virgin Mary would make that effort just to tell one man not to work on Sundays. But Auguste remained inspired to perform his mission given to him by the beautiful Lady. He had a carpenter build a wooden cross which he then placed in the vineyard where Mary had indicated. It was just a temporary one as the Virgin had asked for a wrought iron version with her image in the middle in his next effort. On June 12, he and his family visited the chapel of St. Anthony. On June 22, he made it to Our Lady of Grace in Gignac. He made it to all the places that she had requested. On July 4, he finally replaced the wooden cross with the wrought iron one and set it on a stone pedestal. Believers, skeptics, and the curious all gathered on July 8, 1873, in his vineyard for the predicted second appearance of Mary. Auguste’s wife worried about what might happen if the Virgin failed to appear and this crowd of five hundred would become disappointed and perhaps angry. But Auguste had plenty of faith and no fear at all. Auguste turned to the crowd and, in a low voice, told them to sing. The crowd began singing the Magnificat. After this day, many visitors frequented the area, leaving many flowers, candles, rosaries, and ex-votos. The activity interested the local bishop to the point of appointing a Commission of Inquiry. After witnesses were questioned and the committee filed its conclusions, the bishop recognized the authenticity of these appearances by Mary with a proclamation in 1876. 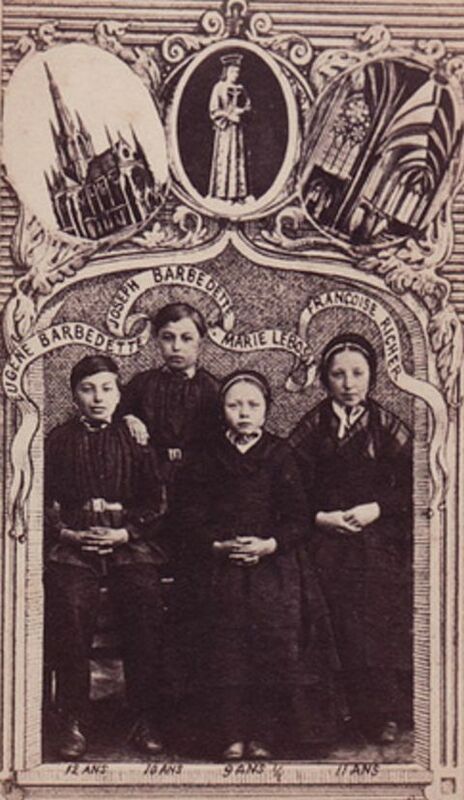 On January 17, 1871, Eugene Barbadette (12) and brother, Joseph (10) heard the priest pray through Blessed Mary at Mass for mercy to come to the area. Paris was already besieged by Prussian forces, and war-torn France was in complete disarray. The little town of Laval nearby would be the next to fall to the invading Prussians. That wintry night, looking outside the family’s barn at 6:00 p.m., Eugene noticed in the cold starry night that a section of the sky was without stars. Suddenly, in that very area, a young woman of 18 years old appeared to be hovering in the sky and smiling down at him. She was strikingly beautiful and wearing a dark blue dress covered with stars and a black veil with a golden crown on top. He gasped a yell of surprise, and brother, Joseph came to him and stared up at the apparition as well. Their parents then came to see what was going on but could not see what the boys continued to marvel at. The mother boxed their ears, scolded them, and then forced them to come in and eat dinner. The visionary children who were able to witness the spectacle in the sky. “In the air above Augustin Guidecoq’s house, I saw a woman of extraordinary beauty. She appeared to be young, about 18-20 years of age and tall of stature. She was clad in a garment of deep blue. When we were told to describe exactly the shade of blue, we could only do so by comparing it to balls of indigo such as laundresses use for rinsing linen. Her dress was covered with golden stars, pentagonal in form, all of the same size and brilliant, but without emitting rays. They were not very numerous and seemed scattered over the blue without regard to method. The blue garment was ample, showing certain strongly marked folds, and without girdle or compression of any kind from the neck to the feet. The sleeves were ample and long, falling over the hands. On the feet, which the dress left uncovered, were chaussons (shoes), the same blue as the dress, and ornamented with golden bows. On the head was a black veil, half covering the forehead, concealing the hair and ears, and falling over the shoulders. Above this was a golden crown resembling a diadem, higher in front than elsewhere and widening out at the sides. A red line encircled the crown at about the middle. The hands were small and extended toward us as in the ‘miraculous medal’ but without emitting rays. 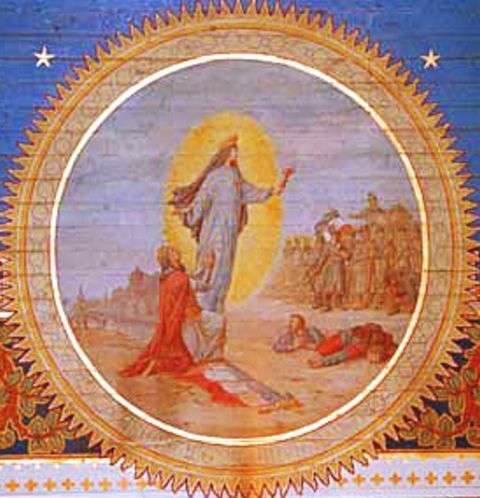 The vision in the sky of the Virgin Mary in Pontmain, France, 1871. But when a local nun heard the startled mother’s story, she reminded her that Mary often comes to young children. 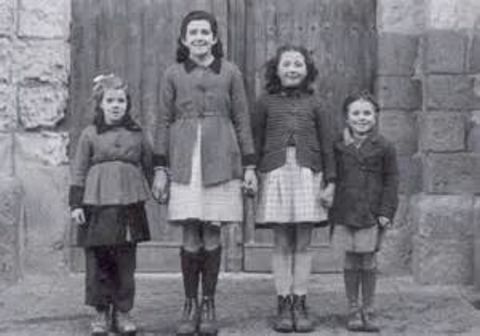 Going on the theory that maybe only children could see Mary, she brought two young girls, Francoise Richer and Jeanne-Marie Lebosse (ages 9 and 11) from the convent school to the family’s farm. The nun made certain to not tell the young girls anything. Although not having heard what the two brothers had seen, the two young girls immediately began describing, excitedly, the exact same image of the Virgin Mary down to the last precise detail. Clusters of people began to gather — within 20 minutes after this vision had begun — yet, none of the adults could see anything. 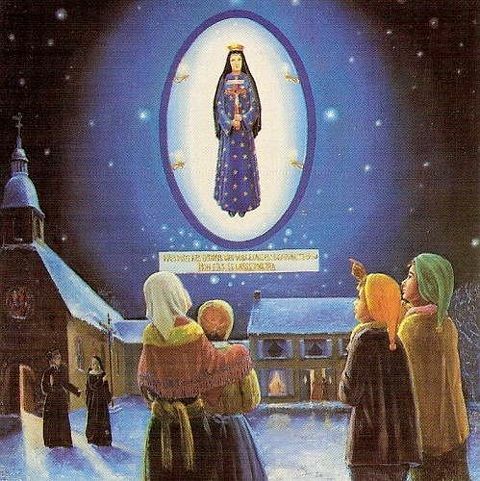 Three more small children began pointing at the sky and describing the same apparition of Mary. Even a two-year old in her mother’s arms started clapping with joy, looking up into the sky, and holding out her arms as if wanting Our Blessed Mother to come pick her up. A total of about 60 villagers gathered before the barn and knelt in the snow to begin praying. Sister Mary Edward began leading the Rosary. The children reported that Our Lady smiled throughout the Rosary, appearing very much alive and showing the dazzling whiteness of her teeth. Many people gather to observe the children in awe of the image. The four young children who could describe what was happening said that three bright stars formed a triangle around Mary. A darker blue oval backdrop appeared and formed around her. Two candles appeared inside the oval on either side of her shoulders. Two more candles appeared inside the oval on either side of her knees. A small red heart appeared on her left side. About forty stars only visible to the children gathered beneath her feet. The villagers were all able to witness the formation of the three stars in a triangle. So she was telling them that God had heard their prayers and fears about the invasion of soldiers, and that he would answer their needs shortly. He would answer because he is a God who allows himself to be touched by pleading and prayers. The crowd sang hymns, but when “My Sweet Jesus” was sung, the children reported that she looked sad. A blue band, the same color as the sky, began passing over the words and erasing them. As the white banner rolled away, the Virgin lifted her hand to the level of her shoulders. She seemed to be moving her fingers and speaking, but nothing was heard. The small crowd prays and sings to honor the Blessed Virgin in the sky. 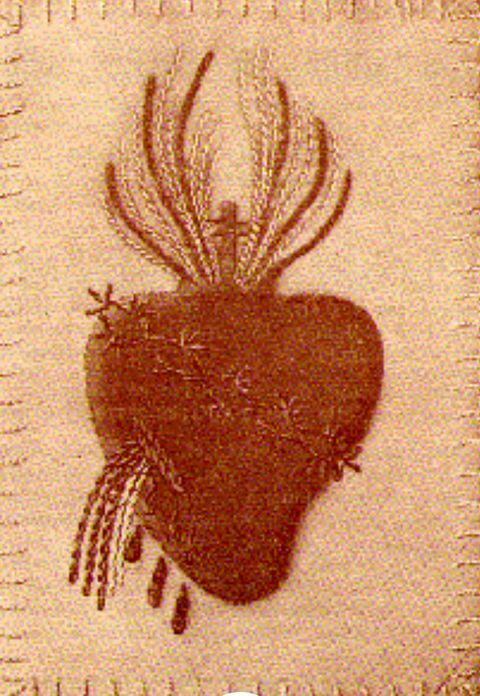 Her hands were then joined over her heart and a large red cross with a darker red image of Jesus appeared in her hands. A star seemed to move and light four candles about her. When the crowd sang Ave Maris Stella, the red crucifix disappeared and a small white cross about eight inches high appeared on each of her shoulders. Mary looked upward. Prayers continued and Mary smiled as the crosses disappeared. She opened her arms outward and downward. 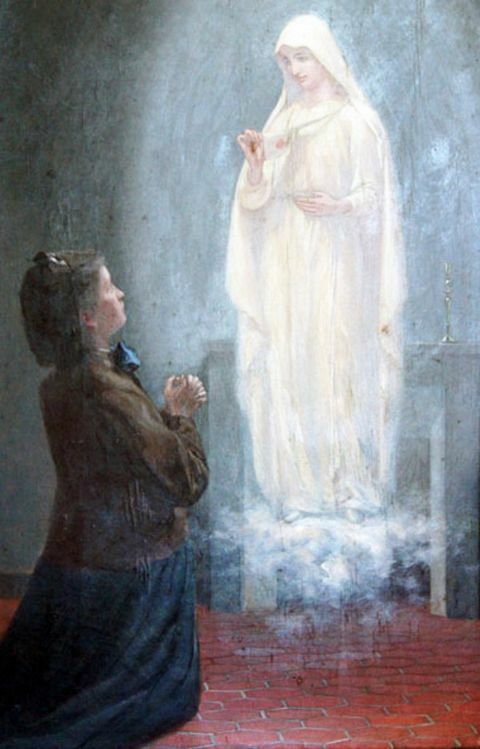 A white veil appeared at her feet and rose slowly upward until Our Lady was completely concealed by it. It was now about 9:00 p.m.; the experience had lasted a total of three hours! Our Lady of Hope tells them that God hears their prayers. Within eleven days the Prussian soldiers had mysteriously retreated and abandoned the country they had planned to invade and occupy. A truce was signed and the war ended. The next morning, the Prussian army is halted by the Virgin Mary. 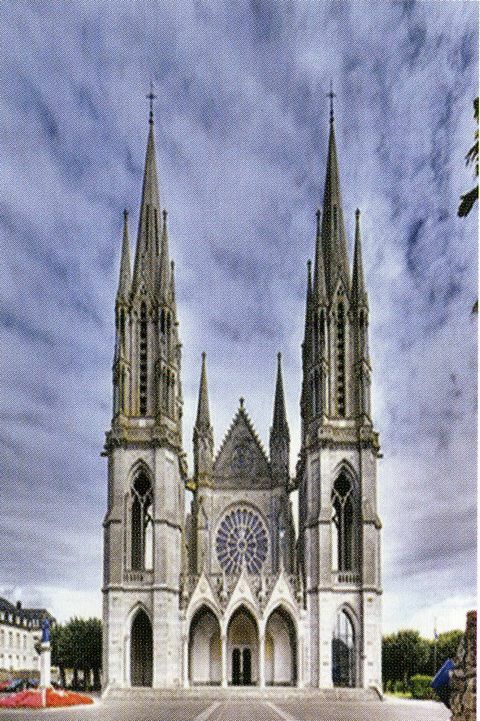 Today this grand basilica honors the apparition of Pontmain, France. Joseph Barbadette became a priest and a member of the Congregation of the Oblates of Mary Immaculate. Brother Eugene became a priest of the archdiocese. Francoise Richer became a housekeeper for a priest, and Jeanne-Marie Lebosse became a nun. 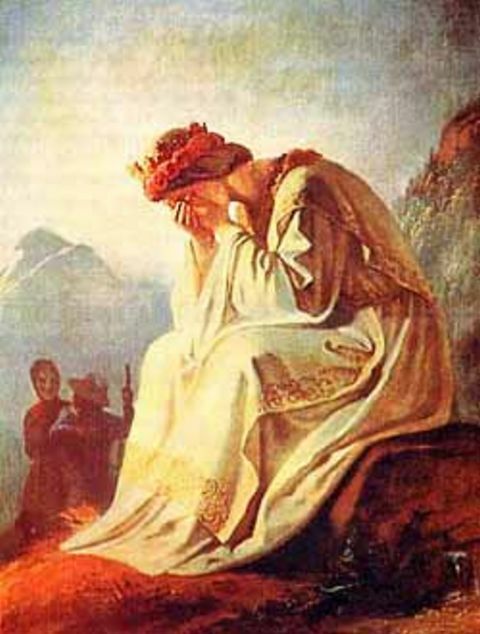 A weeping Virgin Mary draws their attention high in the Alps. “In the year 1864, Lucifer, together with a large number of demons, will be unloosed from hell. They will put an end to faith, little by little, even in those dedicated to God. 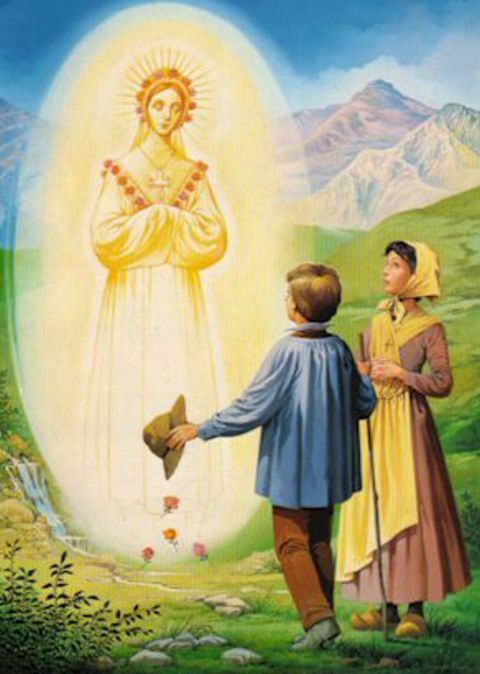 Coming from a ball of light, the Virgin greets the startled children. Then she turned and spoke to each child individually without the other being able to hear her. When asked if they prayed, they admitted “hardly ever.” She encouraged them to do so every night and morning with at least an Our Father or Hail Mary during the day if rushed. She impressed Maximin with recounting an incident with him and his father, word for word, when he thought they had been alone. Then she turned and left, gliding over the ground and rising into the air in the globe of light again. 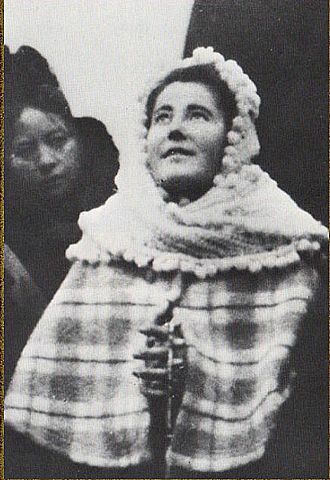 The Blessed Mother is dressed in their native clothing. Upon returning to their families, their story seemed fantastic, yet, their details matched perfectly, and their manner was so sincere. Despite pressures, bribes, and threats from townspeople, they stuck to their story. About a week later, a spring gushed forth out beside the rock upon which the Virgin had sat. This place had only collected water previously whenever snows melted or after heavy rains. But now, the spring flowed steadily, incessantly, and fully — even in dry weather conditions. And it has never stopped since that time. Numerous miraculous cures have been attributed to the water. The Virgin tells of many future events for mankind. On the anniversary of the sighting, 50-60,000 people gathered and held Mass at the site. Twenty-three people reported miraculous cures. 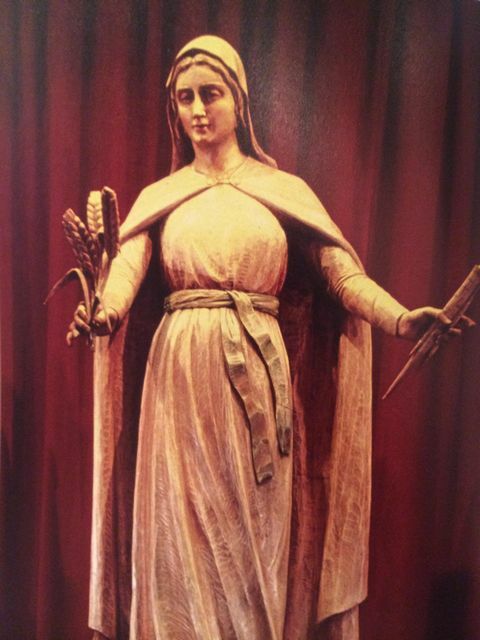 The Vatican approved this apparition in 1851. A Basilica was eventually built on the original site, high in the Alps, in 1879 where their visitation took place. 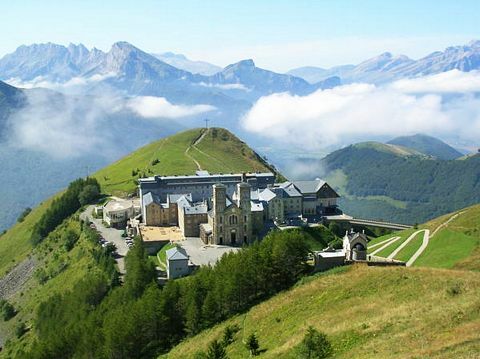 A basilica is built on the apparition site high in the French Alps. Mary had correctly prophesized the great famine in Europe and the decline of religion and morals in the world. She also accurately predicted the American Civil War and the “great war” (World War I) that would follow. 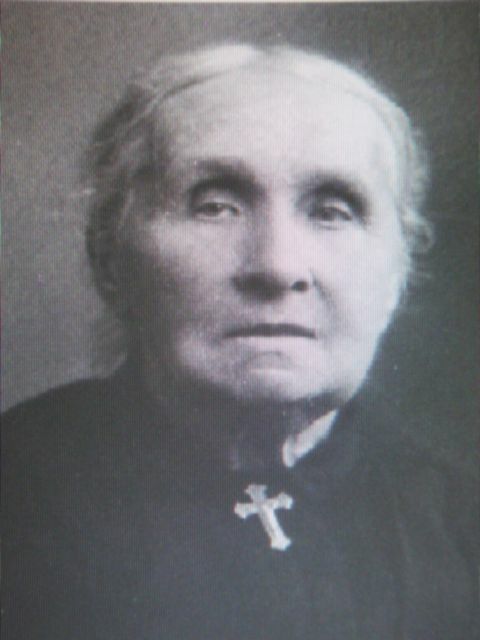 Bernadette Soubirous (14) was the oldest daughter of a desperately poor, miller’s family — who had to take a foul-smelling room in the old abandoned prison to survive. Lourdes was a village of about 4,000 people, tucked in the foothills of the French Pyrenees. On February 11, 1858, Bernadette was sent with her sister, Toinette (11) and their friend, Jeanne to search for firewood that could be sold to the ragpicker for a few pennies that could buy a pound of bread for their dinner. Bernadette was lagging behind the other two because of her asthma. She suggested they cut across some fields to reach a point where the River Gave de Pau meets the canal. She paused in front of the hollowed-out rock Grotto of Massabielle at the base of a small mountain to take off her shoes and socks so that she could wade through an icy cold stream. She remembered her mother warning her to stay warm due to her asthma. 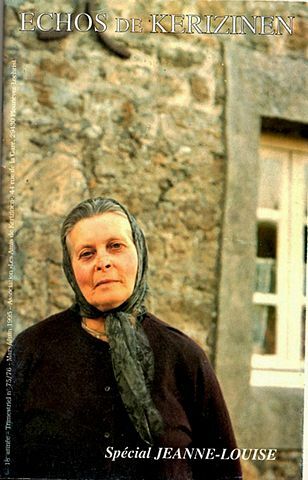 Bernadette Soubirous, 14-year old visionary of Lourdes, France. Toinette and Jeanne had already removed their wooden shoes and waded through the icy millstream to the other side when Bernadette heard “a gush of wind” come from the grotto — yet, no trees were moving. She continued to remove her socks, when she heard the rush of wind again. She saw some wild rose brambles stir in the niche above the grotto. A soft light brightened the recess in the cliff. Then, it became a brilliant light — “like a glaring reflection of the sun off water.” In the light she began to see a young woman about her same age, dressed in white with a blue sash. A yellow rose adorned each bare foot. The mysterious young girl in the light smiled at Bernadette. “When I saw that, I rubbed my eyes. I thought I was mistaken.” But Bernadette could not rub away the image of the girl in the light. The Lady made the sign of the cross with a Rosary in her hand, and Bernadette knelt and said a Rosary in front of her. As Bernadette said her rosary, the young girl in white fingered her own rosary beads but did not move her lips during the Aves. After that, the beautiful Lady motioned for her to come closer, but Bernadette was too timid. Glowing, as if standing in a sunburst, the Lady vanished. Wondering what she had just encountered, she finished removing her stockings and crossed the millstream – which was surprisingly warm now. The other two girls had not seen or heard anything. Her sister scoffed at her story, and their mother spanked both girls when she heard such nonsense. However, this would be the first of 18 visitations! 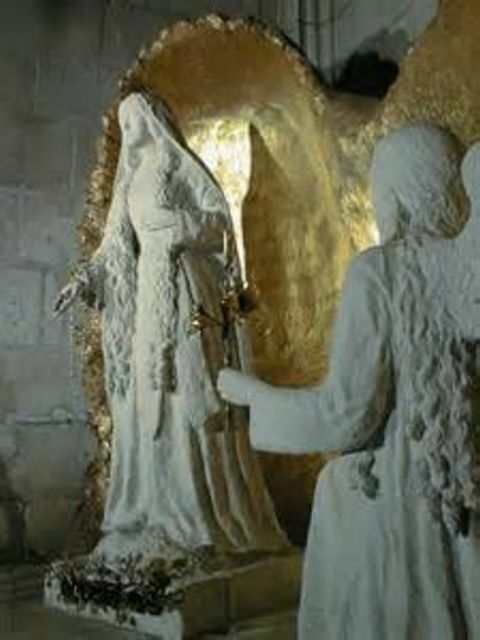 Despite being forbidden to return to the grotto, friends and others put pressure on the family to let her go, escorted. Just three days later, she felt compelled to return (with father’s permission) and took a bottle of holy water and a group of her curious classmates with her down the path to the Grotto of Massabielle. 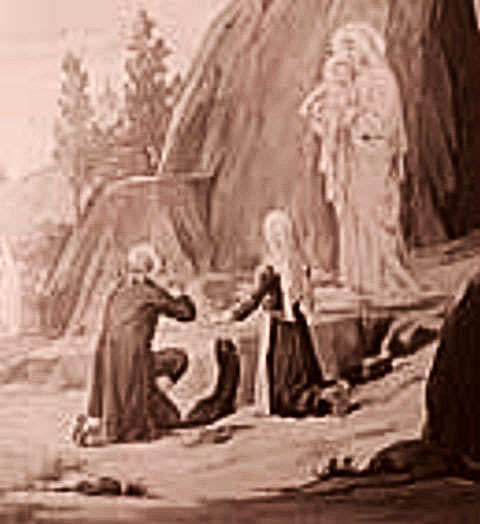 Bernadette falls into a trance before the Blessed Virgin Mary in 1858. She fell into a mesmerizing trance in front of the grotto as she saw the Lady again. Others could not see or hear anything but were impressed by her gaze that could not be broken with distractions. When Bernadette was done praying and the Lady had vanished, friends could not move her physically from her spot. They ran to the sawmill, and the operator of the nearby mill struggled to move the girl as she suddenly seemed incredibly heavy and hard to move. He was able to finally drag her back up the footpath. Later, she was again punished and warned. On the way ome, one of the women offered to let Bernadette stay with her for those 15 days. But, because her mother and aunt now insisted they should have this role, Bernadette only stayed with the nice woman for a couple of days. 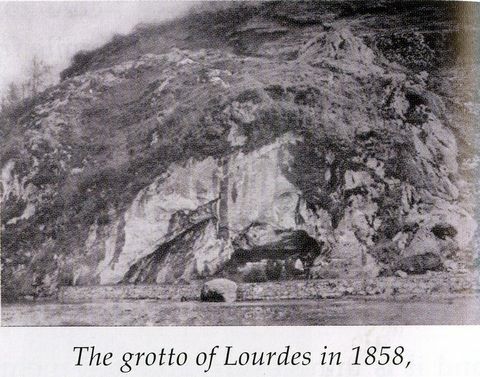 A rare view of the actual apparition site at that time in 1858. 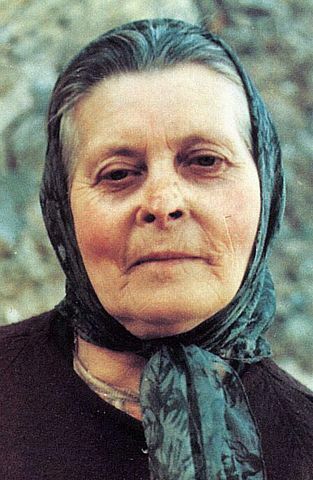 The Lady appeared to Bernadette silently, only smiling during each visit. Bernadette would always hold a blessed candle in one hand and a rosary in the other. Despite crowds gathering and following, nobody else could see anything. They could see that Bernadette was clearly in a trance or ecstasy as she gazed intently at the grotto, moving her lips at times, listening at other moments to someone they couldn’t see. After the sixth apparition on February 21, Police Commissioner Dominique Jacomet pulled Bernadette in for an intense interrogation, trying to twist the facts and confuse her, adding occasional threats. But Bernadette remained calm, sincere, and consistent — never even making the claim that this was the Virgin Mary. And, despite his threats to jail her if she returned to the grotto, she calmly announced that she would return because she had pledged that she would. On February 23, the Blessed Virgin told Bernadette three secrets that were for her alone. And she never did reveal what those three secrets were. Bernadette continues to meet with Blessed Mary for 15 days in a row. “Penitence is what I wish of everyone. Pray to God for the conversion of sinners. Then, on February 25, with hundreds of curious people watching her silent interactions with Mary, she performed some very strange actions. Onlookers feared that she had gone mad, digging in the mud, drinking it, and smearing some on her face. Then she ate from a plant called dorine. The crowd gasped at each odd behavior, but they were later told that she had been instructed to do so “for sinners.” Nevertheless, the crowd left confused and dismissing her; her embarrassed aunts took her home. But later that same day, clear water started flowing from that muddy place. On February 26, despite being ordered not to go there by the police commissioner, she found 600 people waiting there for her. Where she had dug into the mud was now a clear pool of fresh water. As many as 1,200 crowded into the area on February 28, leading authorities to grab the girl, interrogate, and threaten her again. But she calmly refused their demands, stating that she would not break her promise to go there for 15 days as promised (until March 4th). 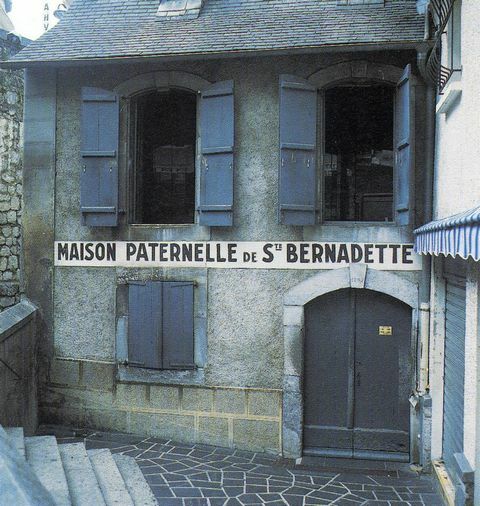 The original home of Bernadette Soubirous in Lourdes. At the golden dawn of March 1st, others saw the apparition as well, including Catherine Latapie and her two toddlers. She had broken her arm, paralyzing two fingers the year before, but when she placed her arm into that clear pool of running spring water, her hand was perfectly healed. 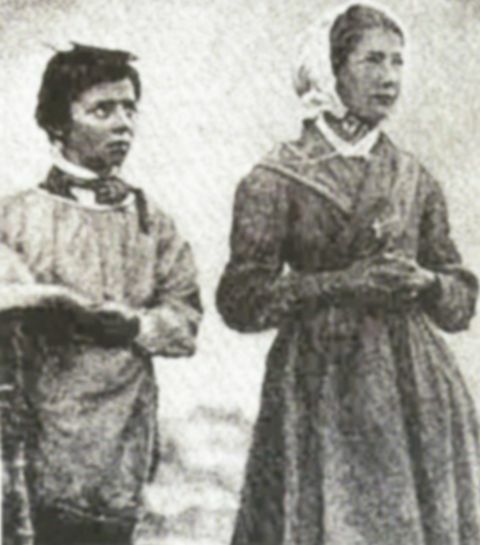 On March 2nd Bernadette turned and announced to the on-looking crowd of 2,000 people, “Go and tell the priests that people must come here in procession, and that a chapel must be built here.” Accompanied by her Aunt Bernarde and Aunt Basile, Bernadette approached Father Peyramale, the authoritative priest of St. Peter’s Church, and presented the Blessed Virgin’s request. Doubtful and disgusted, the priest needed to know that this was truly the Virgin Mary. 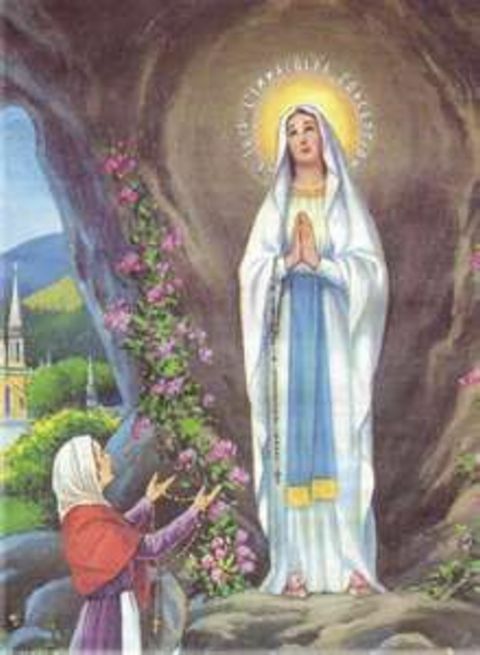 He also demanded that this so-called “Virgin Mary” make the wild rosebush bloom in the winter grotto — as added proof. Despite thousands of people showing up the last day, March 4, it was the same as the others — without any grand finale or miracle as was greatly hoped. Life returned to normal — now that the 15 visits were over. The apparition site is a popular place for prayer and pilgrimages today. Bernadette had absolutely no idea what that meant, but she kept repeating the strange words to herself all the way to Father Peyramale’s residence so that she would not forget this precious response that they had all been waiting for. After she reported to him what Mary had told her, he was simply astonished. How could this uneducated girl, whose catechist had described her as “a blank slate,” know that the Virgin Mary had been born without sin? Pope Pius IX had proclaimed the dogma of the Immaculate Conception only four years earlier. When she left, Father Peyramale was now a believer and broke down and wept. By the end of June at least 50 others reported visions of Mary there. On July 16 was Bernadette’s last vision, after again receiving an “irresistible invitation” on the Feast of Our Lady of Mount Carmel. 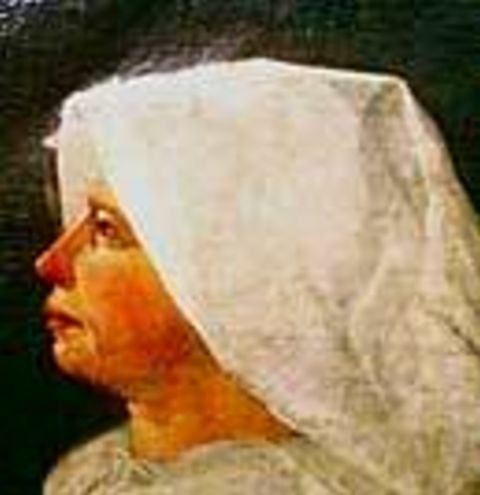 Disguised with a cloak and not crossing the river, she admired Mary’s presence from farther away – yet felt like she was at the same distance as previous visits. “I had never seen her so beautiful.” This was her last visit from Mary. 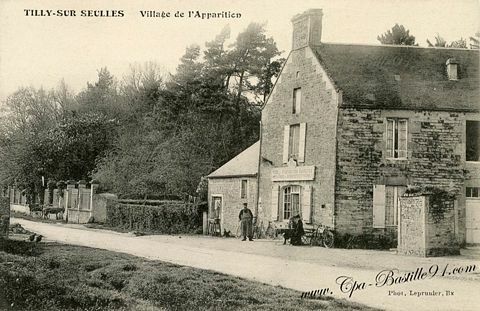 The first of several chapels was built, and Bernadette was invited to march in the procession that Blessed Mary had requested, fulfilling both requests before she left her family and friends at age 22 on July 4, 1866, to join the Sisters of Charity in Nevers. 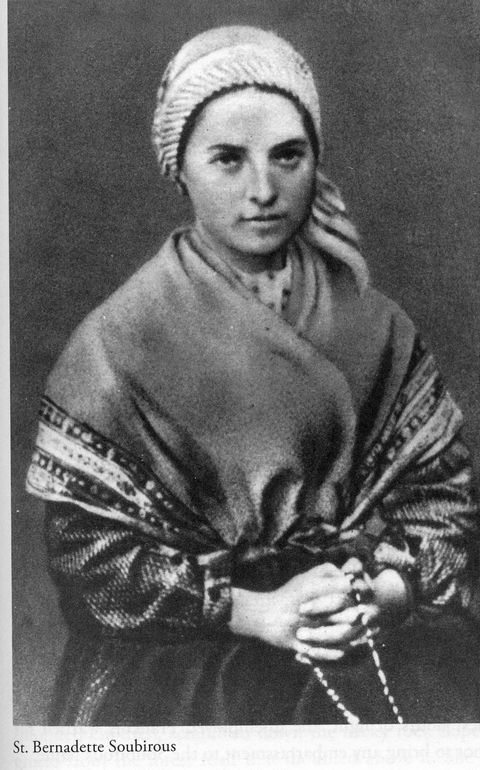 During Holy Week of 1879, Bernadette’s pains and ailments worsened. “I wouldn’t have thought it took so much suffering to die.” On Easter Wednesday, April 16, she stretched out her arms like a cross and said, “My God! … Holy Mary, Mother of God, pray for me, a poor sinner.” Then she died at the age of 35 due to her poor health. 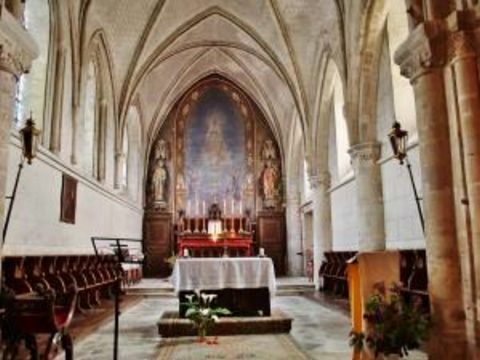 Yet, her body lies under glass without any decomposition over 135 years later in the chapel of the Convent of the Sisters of Charity in Nevers! She was beatified on June 14, 1925, and canonized on December 8, 1933 in Rome – on the Feast of the Immaculate Conception! 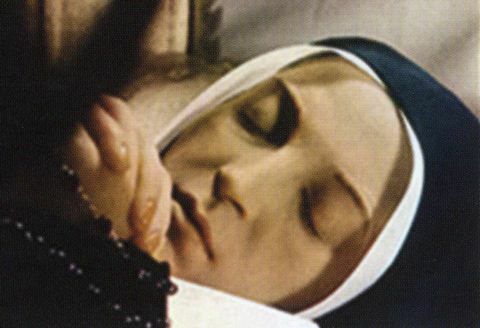 Sister Bernadette is incorrupt after death in 1879 (her body does not decay). Louis Bouriette (54), a quarryman, had lost complete vision in his right eye during a mine explosion. He bathed his eye several times with water from the spring, and his sight was totally restored. 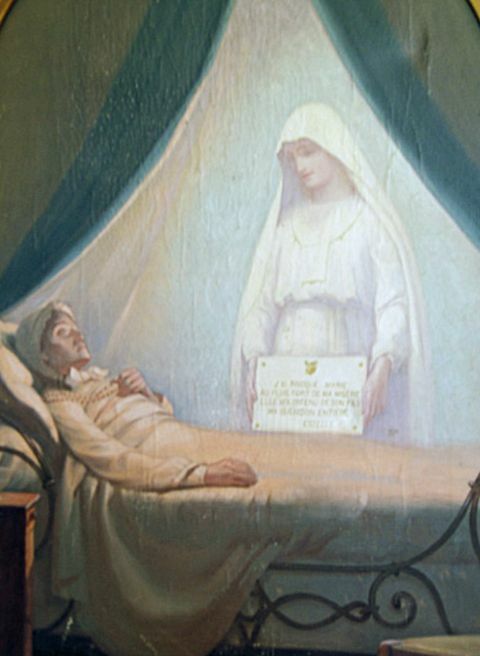 Henri Busquet (16) begged his parents to take him to Lourdes as his suffering from tuberculosis was unbearable. A neighbor brought him water from Lourdes and within two days his tuberculin ulcers had healed and infections gone. Justin Bouhort (2) had never walked and was so sick from various illnesses that he was close to death. His mother plunged her baby into the cold waters of the spring, ignoring the fears of bystanders. The next day, young Justin walked for the first time – and lived to attend the canonization ceremonies for Bernadette in 1933 at the age of 77. Bedridden for over 20 years, Madeleine Rizan (58) was paralyzed on her left side. Her daughter gave her a few sips of the Lourdes water and applied some to her face and body. She was instantly healed! Marie Moreau (17) had a bad infection that had nearly robbed her of most of her eyesight. A compress soaked in Lourdes water was placed over her eyes. The next morning, after removing the compress, her vision was completely restored! A fallen tree had crushed the left leg of Pierre de Rudder (52). Infection had prevented the compound fracture from healing. Hobbling on crutches for eight years, he faced amputation soon. 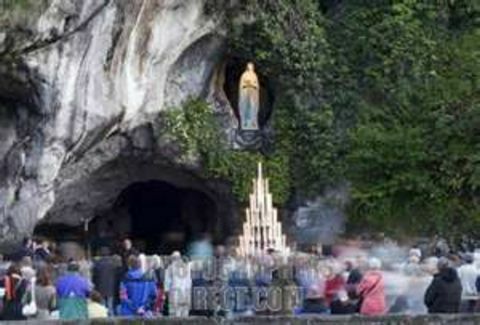 He prayed to the Blessed Virgin in front of a replica of the Lourdes grotto in Belgium. Within minutes, his bones fused back together, and he was able to walk away without any crutches. He was quite active until he died at the age of 75. In 1963, Vittorio Micheli of Italy (23) was suffering from a cancerous tumor on his hip bone. Lowered into the Lourdes bath waters on a stretcher, his tumor vanished as well as all of his pain. He resumed an active, healthy life again. Serge Perrin (41) suffered from a blocked carotid artery which caused paralysis, blackouts, and vision issues. In 1970 he visited Lourdes and was completely cured. Delizia Cirolli (12) suffered from a potentially fatal tumor in her knee and faced amputation soon. 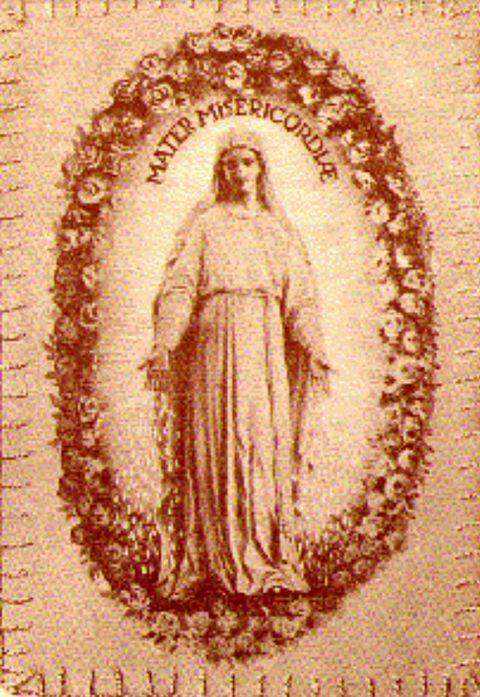 After a trip to Lourdes and praying to Our Lady, she was 100% healed. Jean-Pierre Bely, a nurse, was diagnosed with Multiple Sclerosis in 1972. By 1987 he was bedridden and 100% disabled. After the Anointing of the Sick at Lourdes, he felt a great sense of peace; he regained his mobility and sense of touch again. Anna Santaniello (41) suffered from severe heart disease, labored breathing, and low oxygen levels. Carried to the Lourdes baths on a stretcher, she walked out on her own. Doctors confirmed her good health, regular heart rhythm, and breathing without restrictions. At the foot of the Alps in southern France is the village of Laus. In 1666 the hamlet held twenty households, scattered in little huts. The inhabitants had built a chapel dedicated to Our Lady of the Annunciation. A humble, unschooled shepherdess, Benoite Rencurel, was born into extreme poverty – complicated by the death of her father when she was only seven years old. Benoite was protective of her mother, who trained them well in religious prayers, while Benoite had to take a job as a shepherdess for two different masters to help support the family. 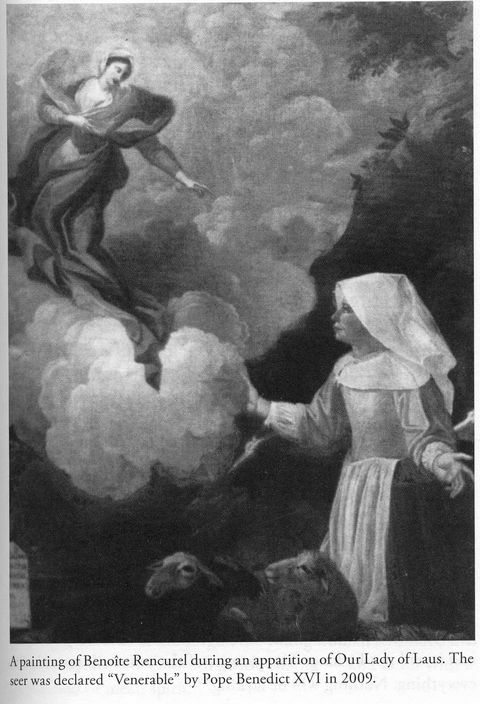 In May of 1664, 17-year old Benoite was watching her flock of sheep while praying the Rosary. Suddenly, an old man, clothed in the vestments of a bishop of the early Church, approached her and asked her what she was doing in this place. She replied that she was tending her sheep, praying, and looking for water. He offered to get her some water and went to a well that she had not seen before. Benoite Rencurel is entranced by visits from the Virgin Mary. Very early the next morning, Benoite led her flock quickly to the designated area in the Valley of Kilns. As Benoite arrived in front of a small grotto on that site, a lady of incomparable beauty appeared, holding the hand of an equally beautiful child. Despite St. Maurice’s prediction, the naïve shepherd girl just could not believe that she was actually in the presence of the Mother of God. The beautiful lady just smiled without answering. Benoite invited her to eat something with her. She just smiled again. She would go in and out of the cavity in the rock grotto, approaching at times, moving away at other times from Benoite. When evening came, she took the child in her arms, entered the grotto and disappeared. Every day for the next four months, Benoite would come to this place and enjoy the beautiful lady’s presence. She never dared to ask who she was, but the villagers began to seriously wonder if it could be the Virgin Mary – just from the amazing transformation in the face, mood, and spirit of this young shepherdess. After two months of silence, Mary finally spoke – in order to teach, test, and encourage her. One day, Mary invited Benoite to rest by her side and to peacefully fall asleep on the hem of the Virgin’s mantle. She taught Benoite the Litany of Loreto, and then asked her to teach it to the girls of Saint-Etienne and go with them to sing it in church every evening. Mary displayed the sweetness and patience of a loving mother in dealing with Benoite’s stubbornness and frequent impatience. She told Benoite that she wanted her role to be that of working for the conversion of sinners through prayer, sacrifice, and exhortation. Mary said that God had granted Benoite the “charism of reading in hearts.” This means that she could discern the good or bad condition of one’s soul. She would work with sinners to help them admit to and confess their issues. 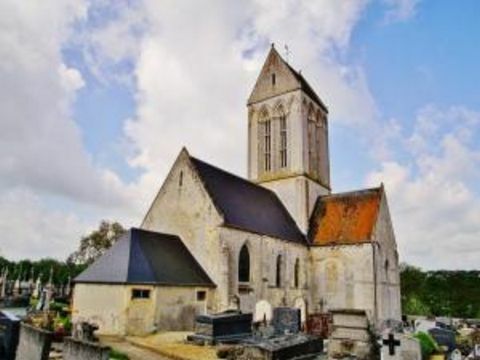 Benoite’s employer, Mrs. Rolland – a woman who had no interest whatsoever in religion, wanted to see for herself what was going on at the site of these apparitions. One day before dawn Mrs. Rolland entered the grotto and hid behind a rock. Shortly afterwards, Benoite arrived and Mary appeared to her. Mrs. Rolland heard every word clearly — and tearfully promised to amend her ways – which she did, faithfully, after that day. Benoite’s doubting employer is shocked by Mary’s words directed at her. 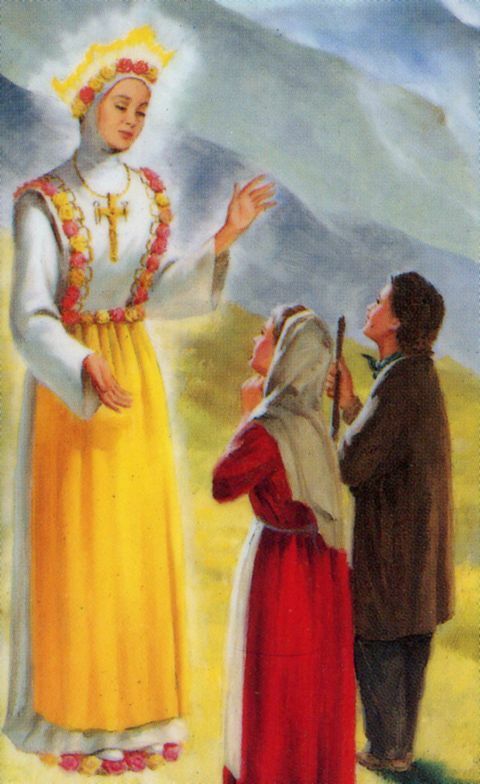 News of these apparitions spread quickly; everybody was talking about them. Many believed in them; others treated Benoite as a “false mystic.” Francois Grimaud, the magistrate of Avancon Valley and a good Catholic and man of integrity, decided to conduct an investigation. After a serious examination, he concluded that Benoite was not deceiving anyone, nor was she an impostor, or was she mentally ill. But, since Benoite had never asked the identity of the beautiful lady, the magistrate requested that Benoite at least ask her who she really is. Benoite did not see Mary for an entire month and became profoundly depressed. But on September 29, 1664, halfway up the hill that leads to Laus, on the other side of a stream, Benoite caught sight of the Virgin. Crossing the stream, she threw herself at Her feet. 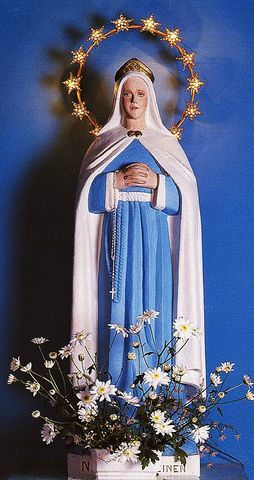 The Laus apparitions lasted a record-long 54 years from 1664 through 1718. The little chapel in Laus was nothing more than a small, thatch-roofed structure just over two meters square. Its plaster altar only had ornaments of two wooden candlesticks and a pewter ciborium. The chapel appeared to look like all the other small houses in the village, so Benoite had a terrible time the next day trying to locate it in a town she had never travelled to. She stopped at the entrance to every poor dwelling, trying to detect that “sweet fragrance” that she associated with the Blessed Virgin. Finally, she detected the fragrance at a doorway where the door had been left ajar. Inside, she found the beautiful Lady standing on the dust-covered altar. Benoite travelled the four kilometers to Laus every day, even through the entire winter, praying as Mary instructed for the conversion of sinners. In 1665, Mary asked her to stop tending her flocks of sheep in order to devote herself to her mission. As news of the continuing apparitions spread, the number of visitors to Laus increased. Graces and blessings poured down upon souls; people came by the hundreds and then thousands to pray in the poor little chapel. Cures of all kinds abounded, and sinners were converted in great numbers. By March 25, 1665, an immense crowd had come to the once-deserted chapel. On May 3, 1665, thirty-five parishes converged in a ceremonial procession, and then several priests heard many confessions. Although the Catholic authorities had not pronounced any decision regarding these apparitions, they did permit Mass to be held at the chapel. 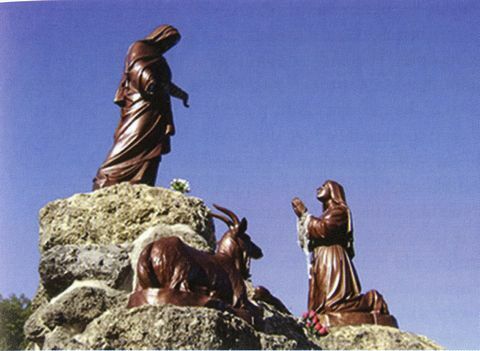 Statues located at the Laus apparition site commemorate the apparitions. That is when the Vicar General, Rev. Pierre Gaillard, entered the scene. Out of curiosity he arrived in August of 1665 and asked for graces. He obtained such great graces there that he was immediately convinced of the authenticity of the apparitions. But Laus was not in his diocese, so he wrote to the Vicar General of the Diocese of Embrun, Father Antoine Lambert, and suggested he make an official inquiry. Father Lambert was unsympathetic and convinced that Benoite’s apparitions were diabolical. He arrived at Laus on September 14, 1665 to put an end to “this sorcery” by proving Benoite to be a fake and shut down the chapel. Benoite remained unruffled during the tricky interrogation, answering him with simplicity and calm assurance. But Father Lambert already had his mind made up. Although there were no resources at all, construction of a much-needed, larger church was undertaken with great enthusiasm. It was the poor who took up the challenge. Many of the pilgrims as well as the local people would carry one or more stones from the streams to the construction site. Thanks to Father Gaillard’s tenacity, the construction was built according to the indications Our Lady had given to Benoite. 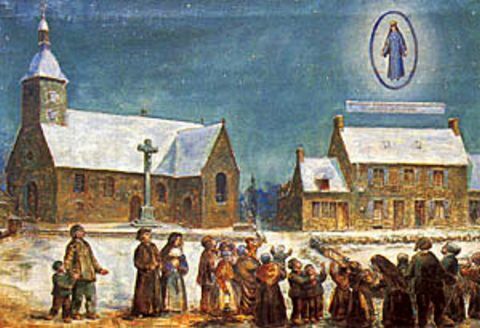 On October 7, 1666, Father Gaillard laid the first stone of the building at the Feast of the Holy Rosary. At the same occasion Benoite became a Dominican Tertiary. One day in the winter of 1665, Benoite was advised by the Virgin Mary to invite those with illnesses to take oil from the lamp in the chapel and apply it to themselves, and if they have recourse to Her intercession and have faith, they will be healed. Physical and moral cures were granted in great number by means of the oil applied with faith. 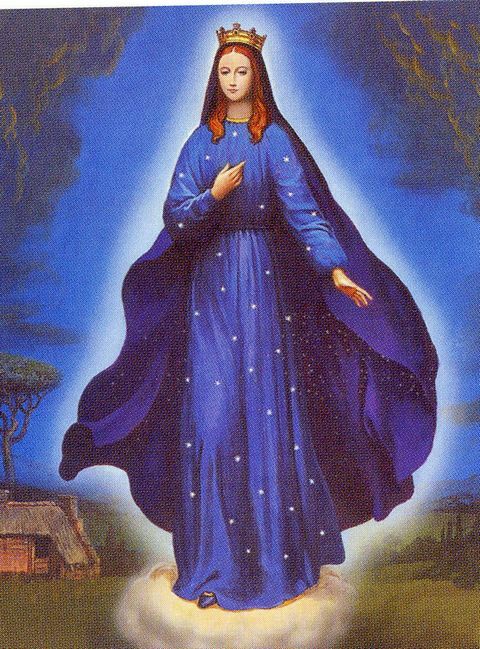 Mary appeared to Benoite at least once a month for 54 years! 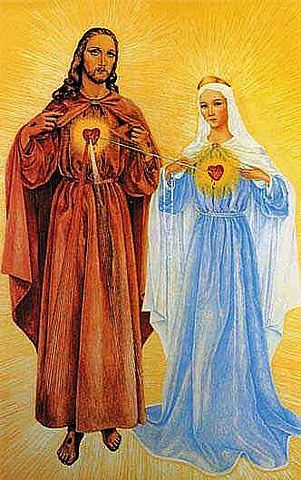 The Virgin Mary gave Benoite the exceptional privilege of reading onto souls. She could “see consciences the way we see in a mirror, all at once.” She revealed faults, grievous and lesser sins, hidden motives, hypocrisy, and errors often committed unconsciously. She would even take away from the Communion rail those people who were not in the state of grace. She would often have to share her painful observations, but her kindness and compassion generally led to grateful responses. On Friday, July 7, 1673, a vision of the bleeding Christ on the cross was the beginning of a weekly “mystical crucifixion” that started on Thursday evening and ended on Saturday morning. This lasted every week for 15 years! Thierry Schoere was a blacksmith who lived in the village of Orbey. On May 3, 1491, he was on his way to market when he stopped by an oak tree. A fatal accident had occurred at that location, and the family had placed a crucifix on the tree where he had fallen. Getting off his horse, Thierry knelt down to pray for the repose of the victim’s soul. When the vision disappeared, the blacksmith became terribly frightened, and, upon reaching the village, he said nothing – in disobedience of Our Lady’s wishes. He went inside the market, purchased a sack of wheat, and started to prepare it for placement on his horse. But the sack of wheat became uncommonly heavy and could not be lifted. Even with the help of others, the sack could not be moved. The villagers wondered if witchcraft was involved! It was then that he remembered the words of the Virgin, and realizing the weight of the sack was a signal to him, he loudly shared the message that had been entrusted to him by Our Lady. Many people heard the message spoken with sincerity and took it to heart, resolving to do better in the future. When he had finished telling of his experience and the message given to him, he easily lifted the sack of wheat and secured it onto his horse, and left for home. During the summer of that same year, a wooden chapel was built on the site of the apparition. Pilgrims made their way there, and miracles were reported. Eventually, this little church was enlarged with the addition of other buildings. For many years, various religious Orders conducted services for the many pilgrims who came from all parts of the country, especially on May 3, the anniversary of the apparition. For the 519th anniversary in 2010, special services were held, during which many ears of corn were blessed by several priests. These priests, the Redemptorists, have cared for the shrine since 1911. 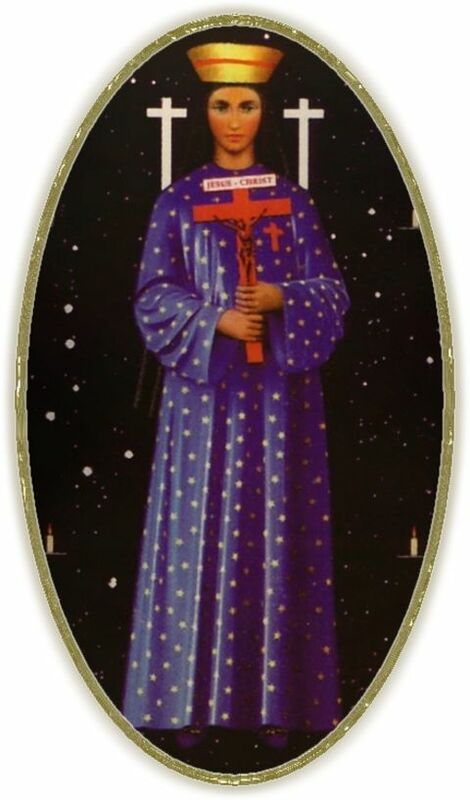 Four years after the original apparition, in 1495, after careful investigations were conducted, the bishop of Basel authorized worship at the shrine and all demonstrations of faith.